Martin Luther King, Jr. is the closest person that African-Americans (no, all Americans) have to a canonized saint. Like the holy men and women of old, he had his failures in his struggles against sin. But, whatever those failures may have been, they do not detract from his leadership in the struggle for human dignity, justice, and reconciliation. Instead of hiding in comfort from the challenges of his times, Dr. King faced them head on drawing criticism and hate from the active and passive supporters of division and repression (of both races). Indeed, he died as a martyr of our Lord and Savior. Because he was not baptized and chrismated into the Orthodox Church, we cannot canonize Dr. King as a saint. But, because he was a Christian who believed in and taught the Trinitarian doctrine and the incarnation of God the Word becoming flesh and dwelling among us, we Orthodox Christians hold him in very high esteem. It is no accident that the birthday (Jan. 15) of this “un-canonizable” African-American saint is so close to the the feast days of three of the most highly venerated African men of our church. Today (Jan. 17), we recognize Anthony the Great who’s example of disciplined prayer and relentless pursuit of God made him widely regarded as the father of monastics. 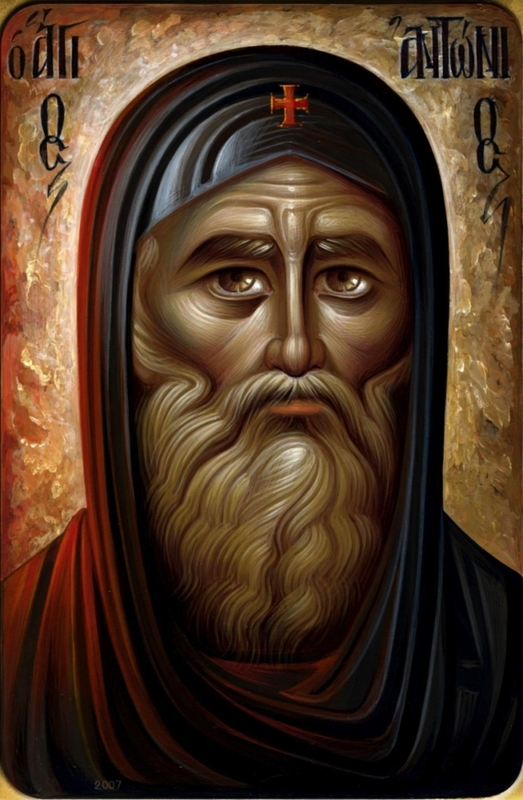 Tomorrow (Jan. 18), we give special honor to Athanasius the Great. This man described by his enemies as the “black dwarf” was the heroic defender of the true faith at the First Ecumenical Council of Nicaea and, as Bishop of Alexandria, gave priest a list of books that should be read aloud in worship. This list was accepted by the church as the New Testament. Sunday (Jan. 19) is the day of Macarius the Great. Like Athanasius was a disciple of Anthony. Macarius was so widely known for his love and wisdom that he drew disciples from all parts of the ancient world. His words are written in prayer books of all Orthodox Churches. As we reflect this weekend on the lives of these four great men, let us remember they were committed to the call of God. Such commitment does not put us in places of wealth and comfort. In fact, those who follow through will draw critics and make enemies. To grow in faith and spirit we must struggle against the things that bind us and take unpopular stands for the truth. In time, the good that we do will have a far more lasting effect on the world than our opponents.